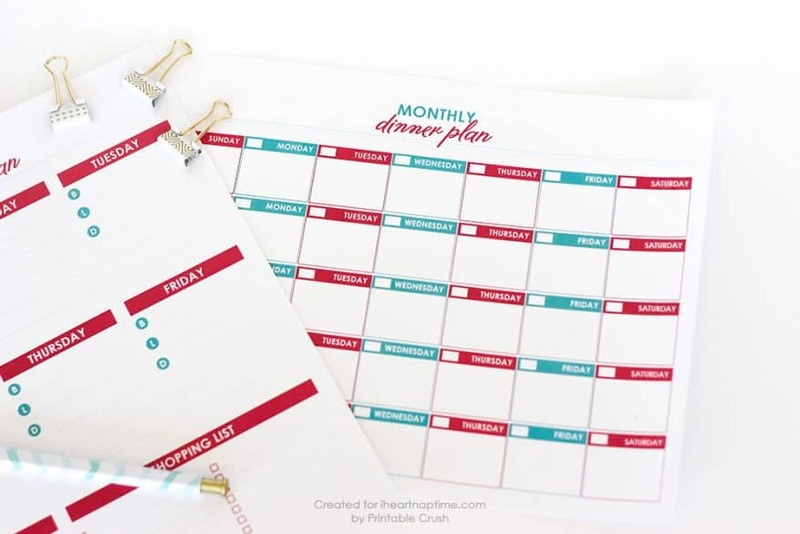 This simplest way to plan out your meals is to print out a monthly calendar and pencil in breakfast, lunches and dinners. 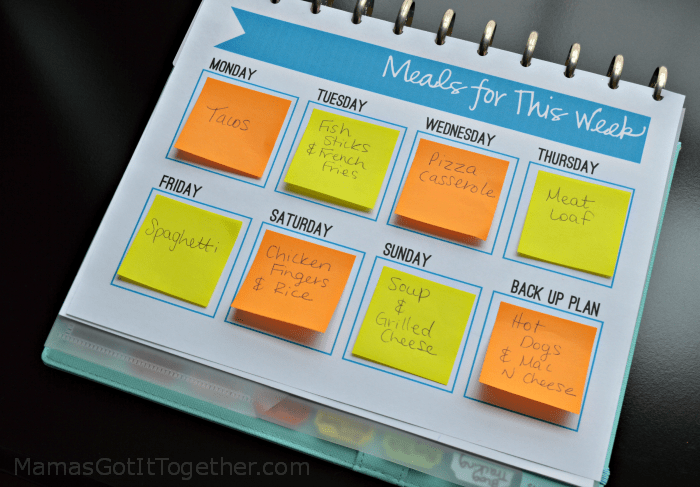 Printing out an additional weekly meal plan chart gives you room to write out the meals in more detail and to write out a shopping list. This weekly meal plan printable comes with a matching shopping list. 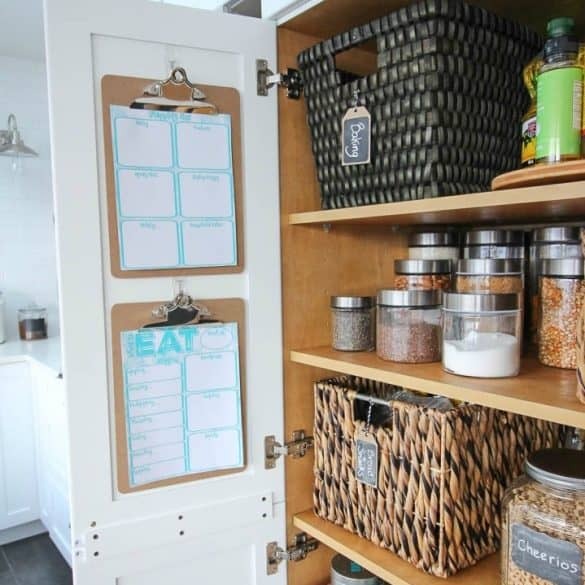 It looks great and helps you organize your shopping list so when it’s time to cook you can be sure to have all the ingredients handy. 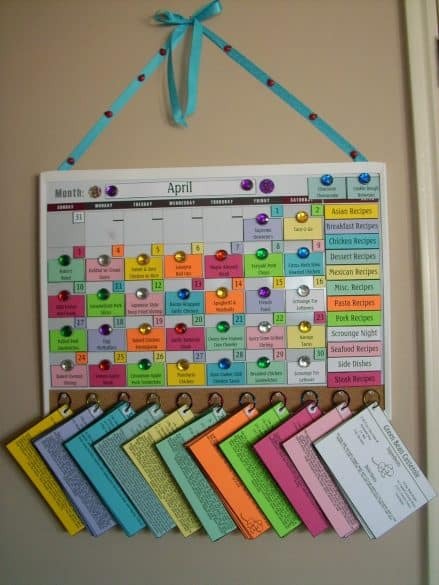 Plus, hanging the printables on clipboards makes it super easy to pull down and add items to the list. Want something that makes a statement? Check out this menu board! 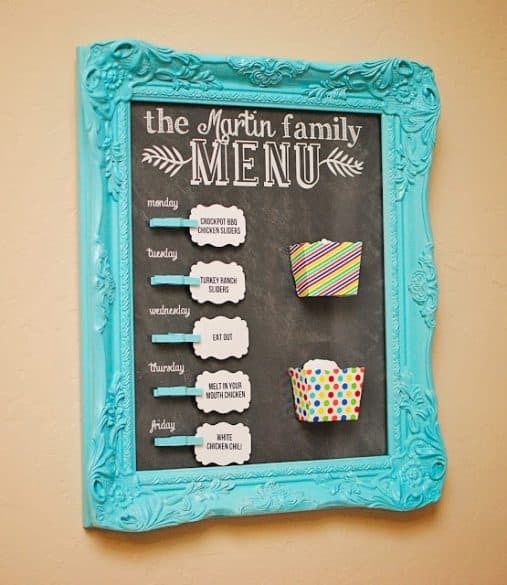 Simply print out your family’s favorite easy dinner ideas and place in the containers attached to the board. 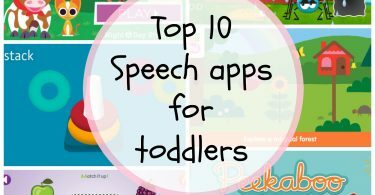 Your littles will have a great time helping you pick the menu for the week and clipping the meals in place. Find step by step instructions here or design your own! If you already use a bullet journal for organizing your week, you’ll love this printable we found on Etsy. 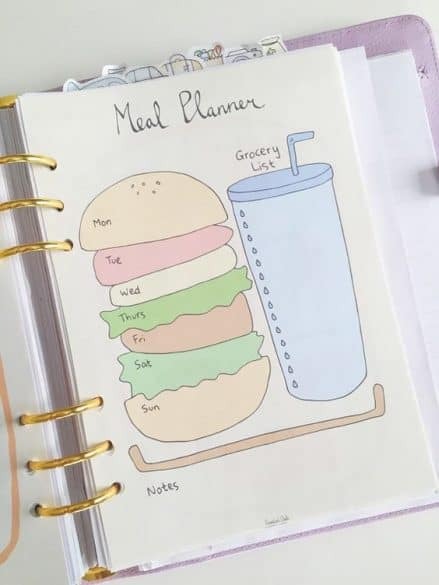 This is a fun, whimsical way to plan out your meals. When you’ve finished filling in the page, tuck the bullet journal in your bag and you’ll have your meal plan and grocery list with you making it easy to pick up all the ingredients you need for the week. 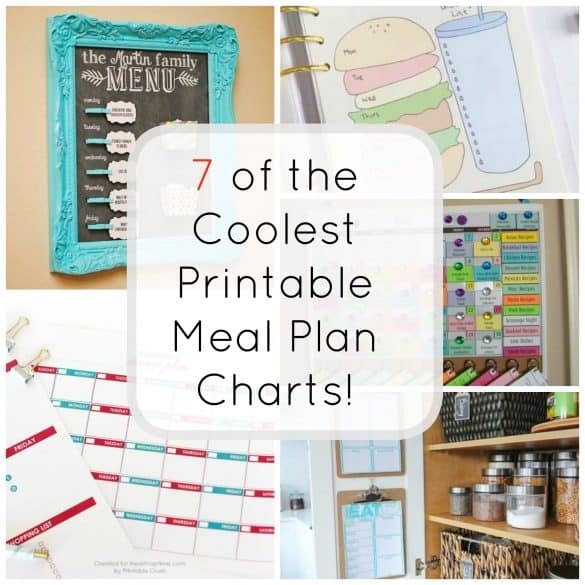 This printable meal plan leaves just the right space for adding sticky notes! Not only can you use this printable over and over, you can color coordinate your meals. Use yellow for the nights you cook and orange for the nights hubby is in charge. 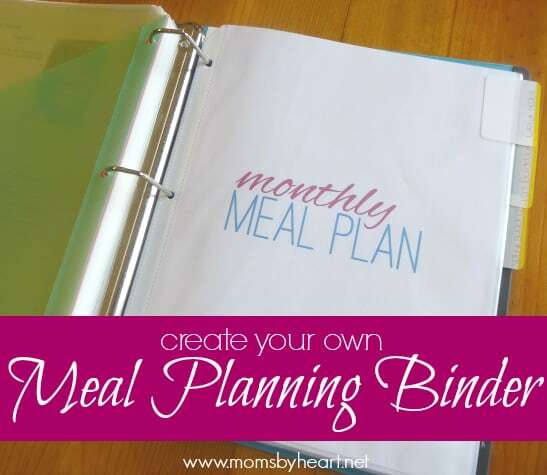 Meal planning using a binder is a great way to keep everything you need in once place: recipes, shopping lists, monthly and weekly plans. 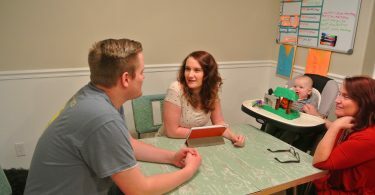 Find printables and step by step directions on putting your own binder together courtesy of Moms By Heart. This meal plan system makes me swoon! It does cost money to purchase, but it comes with all the printables, the recipe cards, and instructions on how to put it all together. You can purchase this system here or create a similar one on your own. 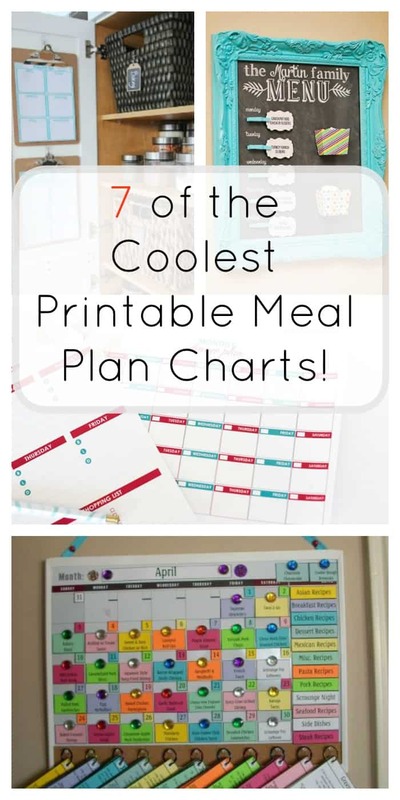 Make dinnertime less stressful by using one of these meal plan printables or by combing a few systems to make something that works for your family.